Tampa, St. Petersburg, and Clearwater in Florida. The health dangers associated with smoking are well-known. 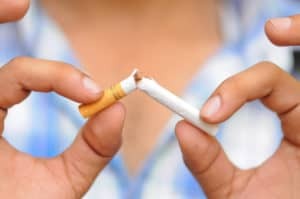 The destructive habit can lead to lung/oral cancer, chronic respiratory disease, and heart disease, not to mention the mess it can wreak on your teeth and gums. However, fewer people are aware of how smoking can physically affect your joint health. Studies have shown that smoking exacerbates the mechanisms behind arthritis and cartilage loss. Also, if your joints have recently suffered trauma, your smoking habit can significantly increase the rate of cartilage loss and lead to the need for invasive treatment or surgery later down the road. 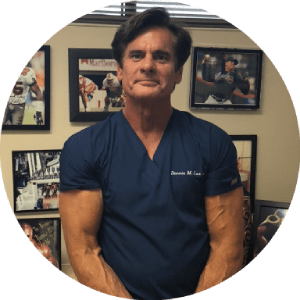 Dennis M. Lox, MD,, of the Florida Spine & Sports Medicine Center, has extensive experience helping patients avoid invasive joint treatment, and aside from urging you not to smoke, he offers early intervention to help you prevent joint cartilage loss and the need for surgery. Smoking reduces the blood supply to your bones, joints, and other body tissues, and smokers are more likely to suffer overuse injuries like bursitis and tendonitis. Traumatic injuries, such as sprains and fractures, are also more likely among smokers than non-smokers. Since the nicotine in cigarettes has been known to slow the production of bone-forming cells, fractures can take longer to heal in the bodies of smokers, who also have a higher rate of complications after surgery. Poor wound-healing and infections are but a few of the issues related to the decreased blood supply to the tissues. Though it may come as no surprise, smoking can significantly inhibit your athletic performance. The habit impairs lung growth and function, which inhibits the oxygen supply to your muscles and increases the risk of injury. Regenerative Medicine therapy, such as Platelet-Rich-Plasma, enhances your body’s natural repair mechanisms to accelerate the healing response. The platelets, which are concentrated from your own blood supply through centrifugation, are injected into an injured segment and release growth factors that regulate joint repair. Many joint disorders have been successfully treated with PRP therapy, including knee disorders such as meniscal tears, cartilage defects, arthritis, and even failed surgery.